Ranger Design locksmith van shelving systems are designed to help you work better, and save money. It’s a fact – a well-organized vehicle will save you time, prevent injury and increase your payload. Whether you are a traditional Locksmith or an Alarm Technician, our locksmith van shelving and storage bins are designed with ergonomics in mind to ensure greater efficiency. With a handy Ranger Design 6-drawer van workbench and locking cabinet, this configuration provides a secure place for everything and a solid work surface. 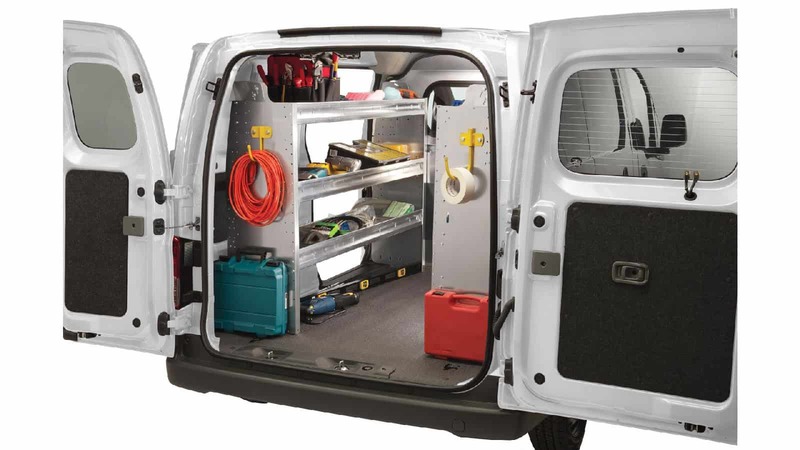 With two sizes of removable storage bins and Partskeeper units, these packages make the most of your cargo van’s interior space. Locksmith van shelving and storage bin solutions are engineered to save weight, while still being tradesman proven tough enough to stand up to everyday wear and tear. Cab comfort can be greatly improved by choosing safety partitions that allow maximum seat travel, increased safety and better climate control. To make it easier, we’ve created locksmith specific packages for each vehicle to ensure your work vehicle is in service as quick as possible. For the perfect locksmith van setup, give us a call at (800) 565-5321, contact us or request a catalog.